I’m in Anchorage for a two day training related to my job. 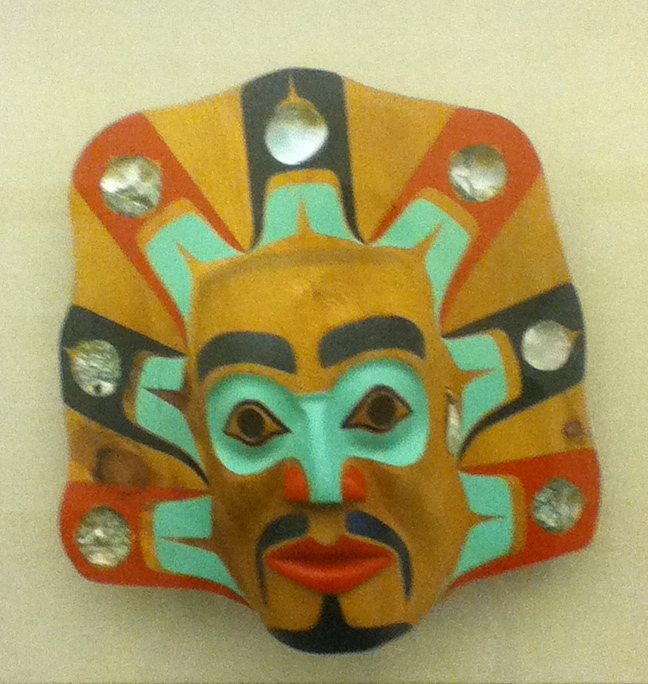 I visited the Alaska Native Medical Center and spent an hour mesmerized by it’s extensive collection of Alaska Native art work. These are just a few masks. More art work to come. Enjoy. Yes, it’s an unbelievably rich exhibit. I felt I was in Alaska heaven. A day does not go by that I do not miss living there. It was my favorite place of all. Wish I could live that long, we have hundreds of Native American nations, most I won’t get to visit. Thanks for dropping by. They are a total reflection of the climate and culture. 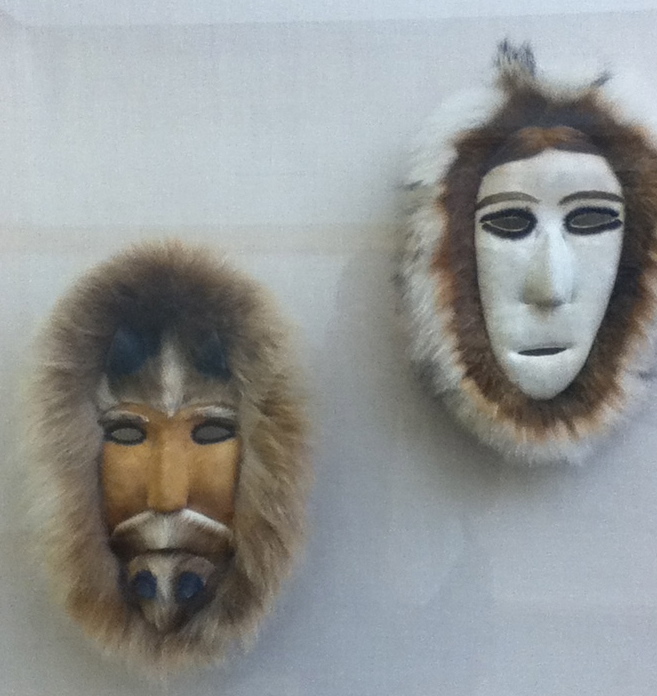 They use ivory, animal fur and skin, and masks symbolize the animals and fish native to here, as well as human spirits. How fascinating that you are beginning to explore the ancient culture you find yourself living amongst. There are often reasons for things that happen to us – maybe your job in Alaska will lead you into areas of knowledge that are of benefit to you. 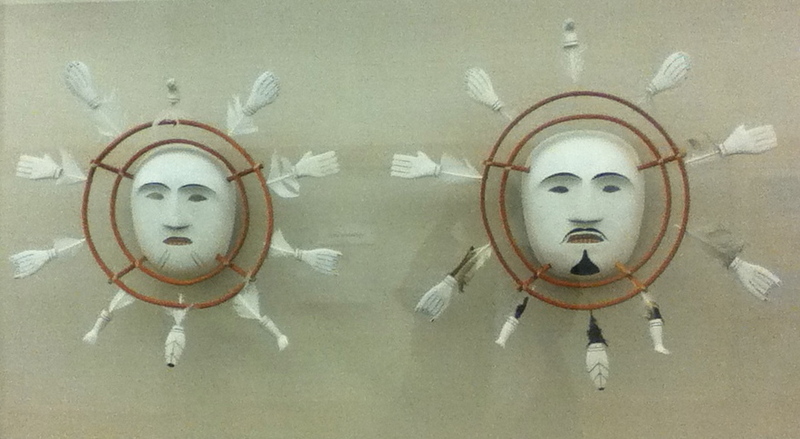 The masks look like they carry messages from the past and ways of thinking to precious to be forgotten. 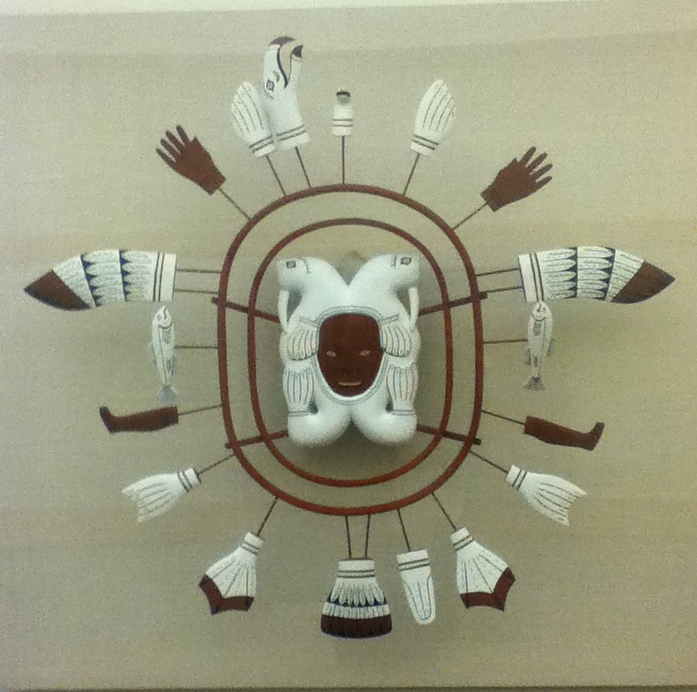 Art in different cultures always speaks volumes, it’s the listening which takes time, glad you took an hour to spare.